And recently, HR has been trying to change this perception by moving beyond solely focusing on processes and effectiveness to creating compelling employee experiences. Now we hear CHRO’s talk about engaging with employees just as they would engage with their customers. I have coined this the “Consumerization of HR” and this refers to creating a consumer type experience inside a company where HR professionals make a deliberate effort to put the employee at the center of thinking when conceiving new HR products and services in the workplace. However, many HR companies struggle with how to do this. One technique that is being used by both LinkedIn and Cisco is to create a hackathon, borrowed from tech world, where participants design new technical enhancements to re-imagining the HR experience. At the heart of the hackathon is using design thinking to gain a better understanding of the needs and expectations of employees and reconfigure HR based on these employee expectations. LinkedIn created a Hackathon for interns working at LinkedIn, Google, Facebook, and other Silicon Valley firms. Conceived as the first ever HR Hackathon, LinkedIn’s Pat Wadors focused on the specific issue of low levels of employee engagement across the entire employee lifecycle, from recruitment to onboarding, development, and the alumni community. Over a period of six weeks, the word went out and nearly 1,000 college interns working in Silicon Valley applied to participate in LinkedIn's HR hackathon. The goal was to find a diverse group of interns with a mix of undergraduates and MBA candidates, females and males, American born and international backgrounds, plus a mix of technical disciplines with 90% being outside the HR function. Nearly 160 interns were selected and separated into 31 groups, with senior HR practitioners judging each team’s contribution. The winning LinkedIn solution was a mobile app that allows interns to give and receive feedback from management, learn about opportunities that are related to their interests, and connect with employees and other interns who can help them achieve their long-term goals. And, the winning group that came of with this idea received a $5,000 tuition scholarship (to be split among the team). 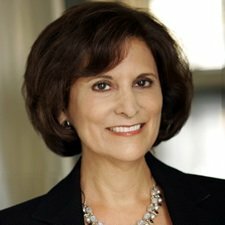 In the case of Cisco, Senior Vice President and Chief People Officer, Fran Katsoudas and her team wanted to re-imagine HR by enlisting the support of the entire HR community at Cisco. Gianpaolo Barozzi, Senior Director of HR and Talent Management, who led the HR Breakathon design and execution, says this about how the Breakathon was created, “We used design thinking and created as memorable an employee experience as possible – from anticipating the event with funny quiz sessions, to creating a dedicated tracking app, and using Cisco collaboration technologies through-out the 24 hours." The Cisco Global Breakathon involved over 800 Cisco HR professionals and gave birth to 105 new HR solutions covering talent acquisition, new hire on-boarding, learning and development, team development, and leadership. 2. “Ask Alex: Your Personal Intelligent Compass"
A three-staged approach to set-up a full HR Analytics ecosystem: Reactive HR Analytics // Proactive HR Analytics // Strategic and Predictive HR Analytics. In stepping back and reflecting on what LinkedIn and Cisco did, three lessons emerge as guidance and take-aways for moving HR from a traditional process model to one which focused on creating a memorable and engaging employee experience. Using design thinking can start with creating customer journey maps, to actually launching a hackathon to uncover how HR can re-think the current solution. And when employees are asked what type of experience they want to have at work, companies like LinkedIn and Cisco are finding it is more than the traditional ‘perks,’ and includes a consumer experience where is it easy to propose new ideas, access solutions, and use the consumer technologies we rely on in our personal lives in the workplace. Both hackathons at LinkedIn and Cisco created an extensive partnership between HR and Internal Communications to develop a well thought out communications campaign. The campaign included weekly newsletters to key executives, social media presence, blogs and even starting with the question, “What is a hackathon?” There was excitement about bringing a group of employees together to re-think how HR can better service their needs. And it was a refreshing from HR going off on an ‘retreat’ to think of new solutions, now they were involving the end users in a process of co-creation. The reach of the HR hackathon can be as broad as including both HR professionals, current employees and interns as well as key stakeholders and customers of HR. And using the hackathon model empowers the HR organization to let go of process thinking and silos and instead tap into and engage an extended community where the employee is at the center of thinking and the goal is to create an irresistible employee experience. To follow Jeanne’s columns on Forbes go here. You can also follow Jeanne on Twitter, connect with Jeanne on LinkedIn, and sign up for latest Future Workplace newsletter.